If we were to build our ideal gravel bike with the ever-versatile OPEN U.P.P.E.R. 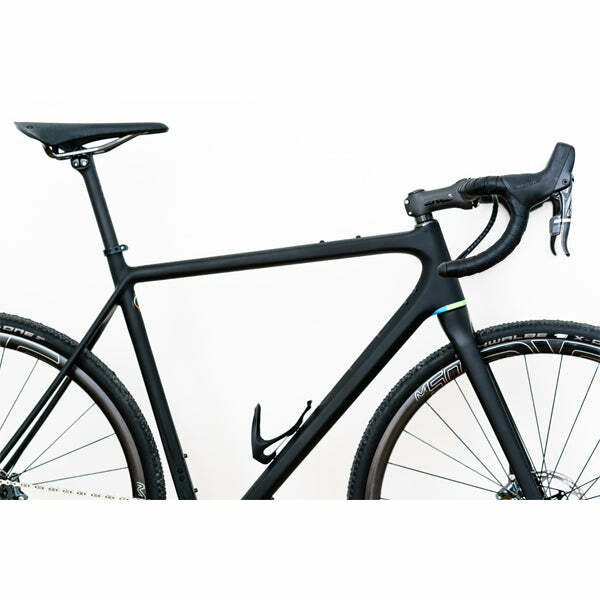 gravel bike frameset, how would we do it? Opinions vary throughout the shop, but surely many people would demand a 1x drivetrain at the minimum. They also would likely want both a 27.5” wheelset and a 700c wheelset, which makes the U.P. the duality of man manifest in bike form. 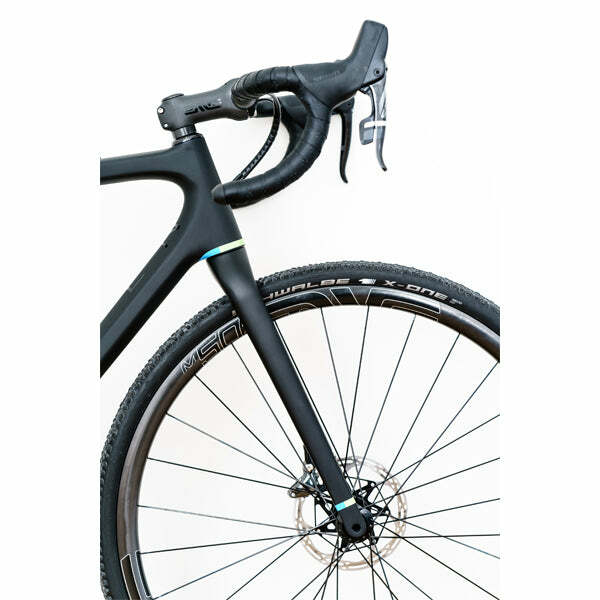 Most likely, however, the shop groupthink would build this gravel bike, the OPEN U.P.P.E.R. Deore XT Di2 bike build. The OPEN U.P.P.E.R. Ultegra Di2 bike starts life with the ultralight OPEN U.P.P.E.R. frameset, with the option to build it in whatever way necessary. Compared to the standard U.P. 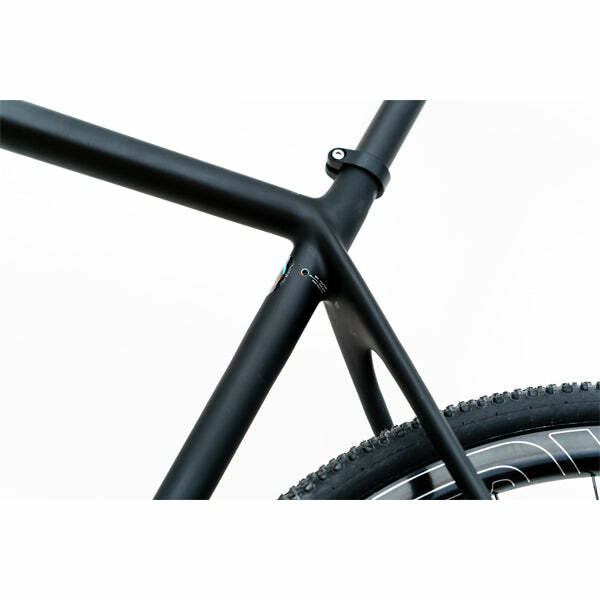 frameset, the U.P.P.E.R. 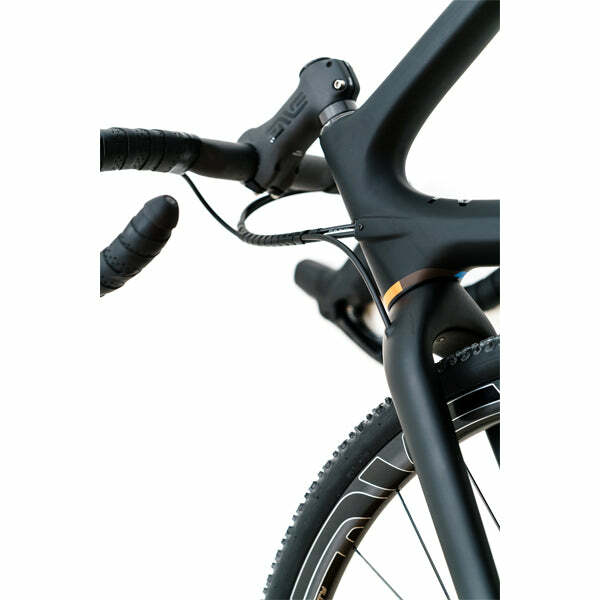 lives up to it’s heightened name; it’s OPEN U-Turn fork is the lightest gravel bike fork in class (375g), while flat mount disc brake mounts combine with a higher modulus carbon fiber layup to save a substantial 310g compared to the Classic U.P. 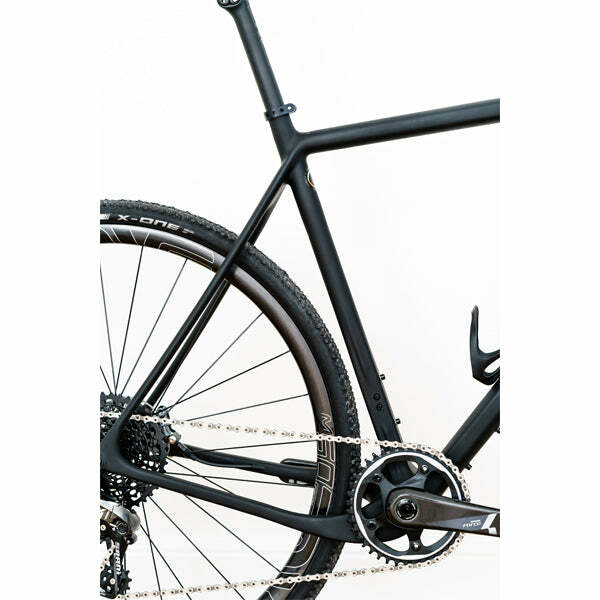 Like the original frameset, it shares the same geometry, and importantly tire clearance; it fits up to 27.5 x 2.1” mountain bike tires, 700 x 40c gravel tires, or anything in between. It achieves this while using stack and reach numbers that are closer to an endurance road bike than a plodding touring bike; a slacker than average headtube angle, stubby 420mm chainstays, and Flatout downtube mean the bike is a performer, both on and off pavement. Other features include three water bottle mounts, a top tube bento box mount, and pencil-thin seat stays for improved compliance over rough roads. The U.P.P.E.R. is all about versatility, so we’ve hand selected parts that offer awesome performance on road, cross, gravel, bike packing, or anything that may lie ahead. A Shimano Deore XT Di2 drivetrain is downright slick; it combines typical Shimano reliability with always-crisp shifting and a lightweight 1x drivetrain. We use an Easton alloy cockpit and seatpost as a starting point, with a Fabric Scoop saddle alongside. Stan’s No Tubes is synonymous with light weight tubeless wheel and tire setups, and our two preferred wheelsets, the Stan’s Grail S1 wheelset for 700c or the Stan’s Crest S1 wheelset for 27.5”, provide an excellent combination of reliability, stiffness, and low weight. 700c wheels save weight and roll better on smoother surfaces, while the 27.5” mountain bike wheelset offer additional durability for rougher trails, and their extra width gives knobbies better bite and a plusher ride. Whether you’re heading to Salt Lake City, or prefer we ship your OPEN U.P.P.E.R. Deore XT Di2 bike to you, we’ll do a full, professional bike build, dialing in shifting and braking, truing wheels, etc. 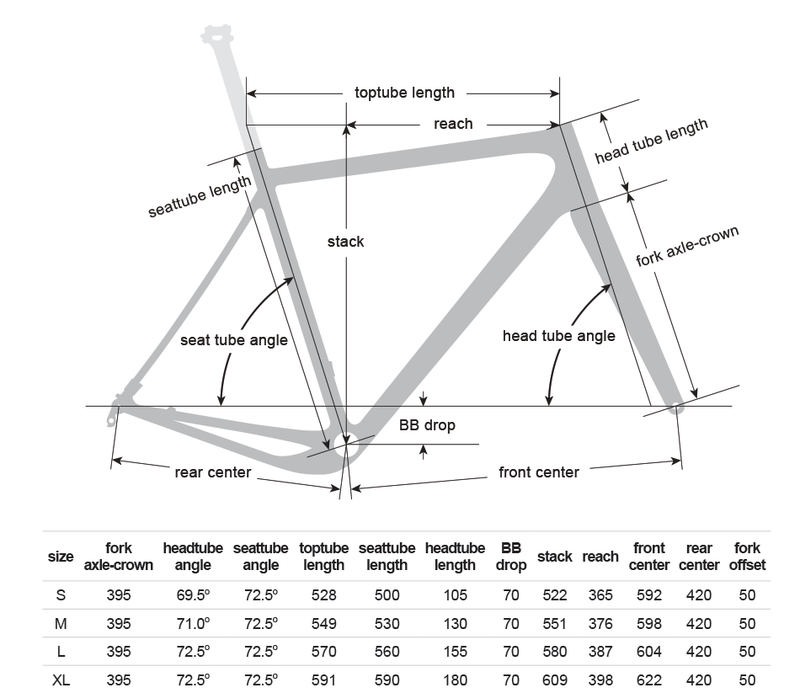 If you’re unsure about sizing, give us a call or email us at info@contenderbicycles.com to talk through geometry and fit. And although this is a “stock bike,” we are more than happy to discuss options of this build.